THE FINAL VOLUME - Volume 4 of this blog is now a Kindle Book: An RAF Mother’s WWII Diary Blog - January 1944 - December 1944 – Sorrows and Salvation. Read or sample free on Kindle, PC, tablet or smartphone. CLICK to see ALL FOUR AVAILABLE VOLUMES on Amazon UK or search ‘RAF Mother Diary December’ on Amazon Kindle Store in other countries. added 26th Nov 2014. Volume 3 of this blog is now a Kindle Book: An RAF Mother’s WWII Diary Blog - January 1943 - December 1943 – Losses and Gains. Read or sample free on Kindle, PC, tablet or smartphone. CLICK to see ALL THREE AVAILABLE VOLUMES on Amazon UK or search ‘RAF Mother Diary December’ on Amazon Kindle Store in other countries. added 15th Dec 2013. Volume 2 of this blog is now a Kindle Book: An RAF Mother’s WWII Diary Blog - January 1942 - December 1942 – Weddings and Farewells. Read or sample free on Kindle, PC, tablet or smartphone. CLICK for Amazon UK or search ‘RAF Mother’ on Amazon Kindle Store in other countries. added 30th Apr 2013. Remembering D-Day 6th June 1944 - an extract from 'The Casualties Were Small' added 6th Jun 2012. Volume 1 of this blog is now a Kindle Book: An RAF Mother’s WWII Diary Blog - November 1940 - December 1941 - Anticipation and Alarms. Read or sample free on Kindle, PC, tablet or smartphone. CLICK for Amazon UK or search ‘RAF Mother’ on Amazon Kindle Store in other countries. added 12th Apr 2012. Lesley Dolphin's BBC Radio Suffolk Afternoon Show features 'Letter B for Blogger' - talking with Tom Ambridge added 4th Jan 2012. Tom Ambridge chatting about the blog and book to Melvyn 'in the morning' Prior on BBC Radio Lincolnshire added 15th Dec 2011. Remembering the 70th Anniversary of USA entering WWII following the Japanese attack on Pearl Harbor added 9th Dec 2011. 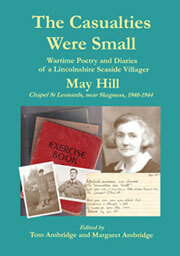 'Recollections of WWII' blog features the May Hill book 'The Casualties Were Small' added 6th Dec 2011. A 'new' Diary book begins - coinciding with the start of the second year of May Hill's blog 'Seventy Years On' added 29th Nov 2011. First Photo-Tweet has 'snap' of locally billeted Soldier and his Wife on the Sandhills added 17th Sep 2011. Remembering the 70th Anniversary of the Bomb Scare prompting the poem 'The Casualties Were Small' added 10th Sep 2011. Remembering D-Day 6th June 1944 - an extract from 'The Casualties Were Small' added 6th Jun 2011. 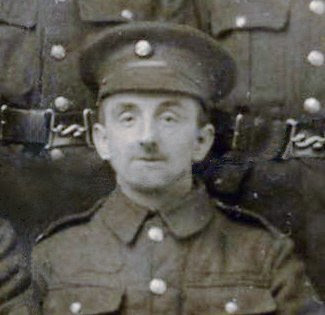 Background to blogging May Hill’s WWII Diaries – on GeneaBloggers website added 1st Feb 2011. The Blog on Facebook and on 'Twitter – Tom Ambridge on BBC Radio4 ‘You and Yours’ added 1st Feb 2011. May Hill’s WWII Diaries – Seventy Years On blog launched 27th Nov 2010! 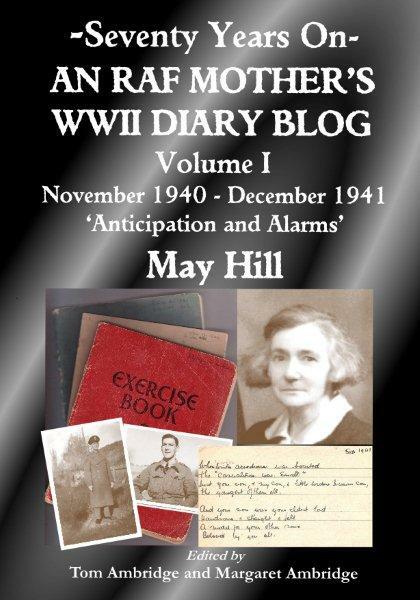 Volume 4 (of 4) of May Hill’s ‘An RAF Mother’s WWII Diary Blog” on Kindle (also readable on PC, tablet or smartphone). Click here for Amazon UK or search ‘RAF Mother Diary December’ in Amazon Kindle Store for all other countries. Volume 3 (of 4) of May Hill’s ‘An RAF Mother’s WWII Diary Blog” on Kindle (also readable on PC, tablet or smartphone). Click here for Amazon UK or search ‘RAF Mother Diary December’ in Amazon Kindle Store for all other countries. Volume 2 (of 4) of May Hill’s ‘An RAF Mother’s WWII Diary Blog” on Kindle (also readable on PC, tablet or smartphone). Click here for Amazon UK or search ‘RAF Mother’ in Amazon Kindle Store for all other countries. Volume 1 (of 4) of May Hill’s ‘An RAF Mother’s WWII Diary Blog” on Kindle (also readable on PC, tablet or smartphone). Click here for Amazon UK or search ‘RAF Mother’ in Amazon Kindle Store for all other countries. A great present for anyone - young or old - interested in what life was like for ordinary families during wartime. I had just written the date when the light went out. I am afraid E.L. [electricity] is going to be an item in the winter tho’ the rebate will make it easier. Shall have to be very careful with wireless and do as little ironing as we can. I use a candle upstairs as I often need a light nights and early mornings. Cannot do with less than a 60 watt bulb in the kitchen for sewing and reading. It cost about 2/0 last week and it is a long time yet to the shortest day. It has been a lovely autumn day, cold and bright until tea time when the wind got worse and a storm blew up ending in rain and a lovely rainbow that seemed to be only at the bottom of the garden. Afterwards it thundered very heavily over the sea towards the North and came another heavy shower. We did not get to Chapel but Jean went this a.m. and to S.S. [Sunday School]. Rene came this afternoon. Ciss’s arrived home on 6.15 bus’ except George who is staying until Wed at Mary’s. Mary sent us (not Mary Blythe) a nice little cockerel for dinner, it was very good, with beans and bread sauce. A little bit left for tomorrow. Mavis says Vic Hill died from the injuries received from flying bomb, the head injuries being worse than believed at first. My potatoes not turning out so well now, they don’t do well so near apple-trees. Ted and Albert Hall are on leave. They were digging potatoes on Fri and Saturday. Mrs. Ted Brown brought me some lovely roses on Thurs. They are lovely rich colour and named “Autumn”, sweet-scented too. Rene and I took some of them and a white gladiola and mauve, pink and white asters to the churchyard last night. We put a few asters in the memorial stone, vase. Harriet fetched a young rabbit on Thursday. “Jimmy” is dead. Eva is at Mrs. D[andison]’s for a month. Calais has fallen to us at last, and the cross-channel guns are silenced at last too. Dover has been celebrating this week. What a relief it must be to them after 4 years. A few flying bombs, presumably launched from pick-a-back planes, continue to come over still. Planes go over us nearly all day sometimes and night too, but no enemy planes lately. My nerves seem fairly good tho’ I fear it would not take many “bumps” to unsettle them. How thankful we ought to be that we have lived in such a favoured area, tho I tremble to think of what would have happened had Ger. invaded Lincs. as he clearly intended by the plans found in Paris. How near the edge of a volcano we were unconsciously living at one time! We think and hope that time is past now. John Short is able to cycle now tho’ he cannot walk without boots. Edith Bell (Mrs. Seal) had a daughter on Thurs. night or Fri morning. David is about 13 months old. Jean rolled new lawn on Sat. I took thistles and dandelions out first, I saw Coote looking over the hedge at it, with what I felt in my bones was a disapproving eye! Tom told Rene to tell me it wanted rolling when it was about three inches high, I am afraid I rather ungratefully told her I was tired of advice about the lawn. Jean and I are of the opinion that if we’d had as much help as advice about it, it would have been 6 feet high by now! I don’t profess to be a professional gardener, but as my father was so good in the garden and his father and grandfather were gardeners before him, I am not altogether dense, especially as we have always had a garden and have grown flowers and vegetables so long, even if I did not do the work on the veg. patch at least I was always there, and learnt most of the ropes. In one way at least I can beat them all. Dear Will had a tool for everything, so I do not have to borrow. One thing however I do lack and that is a light little barrow. It would be very useful. I sent George’s back to Con. before we came here and even if it had been ours it was too heavy. George Ranson was probably staying with his aunt, Mary Blythe, in the Grimsby area (see 18th November 1943). The other Mary (NOT Mary Blythe) here, was Charles Hill’s wife. 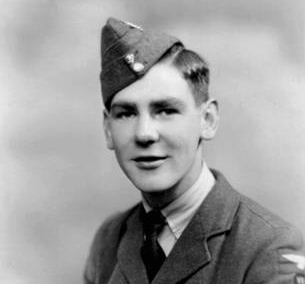 Vic Hill, killed by a flying bomb, has not been identified and may not have been a relative. The incident would have been in the south-east of England as flying bombs did not reach Lincolnshire. Have you read an introduction to May Hill & family (includes photographs) and explored ‘The Casualties Were Small’? It is bright and clear and cold this morning tho’ it was hailing when we went to bed and I heard rain or hail in the night. There is a morning moon, when it is waned the mornings will seem very dark, still it is only 5 weeks to Xmas and the shortest day. Jean has gone to school. Just as she was going a lot of planes came over, probably returning from or setting out for a raid. Jean thought returning as they were heading more inland than towards the sea. “Snip” is washing herself after a plate of porage. I told her it was hot and she carefully skirted round the edges of the plate but very soon finished it. The animals always seem hungry these cold days. We had another rabbit yesterday, it was very good indeed as they are in cold weather. Sent Mrs Leivers word how much her fowl was. It weighed 7 lbs with feathers off, just over I think, and is 1/10 lb so charged 13/0. There is not supposed to be any profiteering but there always seems to be a loophole. Fowls, young and old are 1/4 live weight but 1/10 with feathers off so in a good fowl they get over 2/0 for that. Then if they take insides out and head and legs off they can charge up to 2/6 lb. Had a letter from Mrs. L. Lees yesterday, it was a long time since she had written. Joan is married (she sent a PG [photograph] of group). She [Joan] will be 29 I think. They all look very nice. Len looks about 70 but Mrs. L is getting plump and looks quite young. Rosemary is 19 in WAAFs [Women’s Auxiliary Air Force], she looks quite the modern young miss, is as tall as her father and fat too. Anne and Susan look very nice in their bridesmaids dresses, Joan was not in white but looked very nice in short dress. Billy has been in India and Ceylon for two years. I think he is a Lieut. now. Want to know if we can send them fowls for Xmas. Nothing doing. Now we are not in the trade it’s not worthwhile. Have fitted Jean’s skirt, think it will look very nice. Cut out a velveteen dog last night, and did some of my cardigan. Rene washed a few clothes for me, we did not put them out, but have got them dry indoors. There is very little wind now, it seems very quiet. Father took Gran to Aunt Mary’s yesterday when he came from Sk[egness]. She is staying there a few days. Jean said Maisie and baby and Cis were on bus’ Tue night. I believe she is coming to live with Con for the present. Ben is away for some months. She was with Mary but babies make too much untidiness for Mary. It’s a pity she hasn’t one or two. Anne and Susan Lees, not mentioned previously, were presumably younger children of Mr and Mrs Lees (see 16 Dec 1940), and bridesmaids at their sister Joan’s wedding. Aunt Mary, with whom Grandma was staying, was Charles Hill’s wife, Jean’s aunt. Ben McGuigan, Maizie’s husband (see 22 Mar 1942), was at sea, serving in the Royal Navy. At one time he served on HMS Aurora. Mary Blythe (married name), with whom Maizie and baby had temporarily stayed, was a sister of Ciss and Connie. She was a teacher, living near Grimsby, who never had children of her own. An introduction - with family photographs. “Tune Your Hearts to Brave Music”.